Entered Our CoolSculpting Contest Yet? 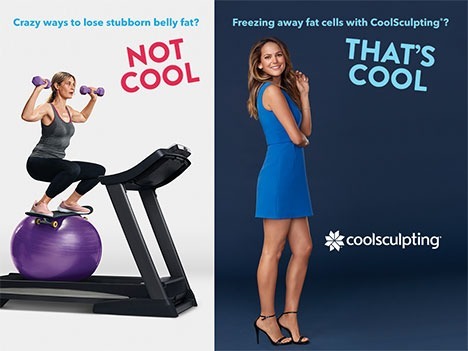 Have you entered our CoolSculpting contest yet? You’re always putting everyone else’s needs ahead of your own. With Valentine’s Day approaching, how about throwing some love your way for once? We have just the way to do it: We’re running a CoolSculpting Valentine’s Day contest. One lucky winner will receive two free CoolSculpting sessions, valued at $1,500, with us here at Davis CPS. CoolSculpting is the top nonsurgical treatment for permanently getting rid of stubborn body fat. More on that in a moment. Now, what exactly is CoolSculpting? It’s an innovative procedure that uses controlled freezing to eliminate unwanted fat. And it requires little to no recovery. Years back, a couple of Harvard scientists noticed that some kids got dimples in their cheeks when they ate popsicles. They later came to realize that the popsicles were freezing and eliminating small pockets of fat cells. Simplistic as that sounds, that’s the premise behind CoolSculpting. The procedure delivers precisely controlled cooling to a targeted area. The treated fat cells are frozen, then die. There’s no damage to the skin or the surrounding tissue. Over time, your body will naturally process the fat and eliminate the dead cells, leaving a more sculpted you. You won’t be put under. In fact, you can catch up on emails while you undergo the treatment. Come in for a session in the morning and head straight into the office as soon as you’re done. Go register, and make this a Valentine’s Day—and bathing-suit season—to remember. Accepted file types: jpeg, png, jpg, gif.